As credit card processing fees eat up an increasing amount of restaurant profits and customer acceptance of restaurant technology grows, the industry has begun embracing mobile payments. 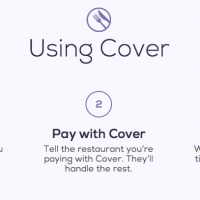 Cover is one of the newer restaurant payment processing apps that lets customers seamlessly pay for their meals. The app launched out of beta in NYC last week, so I spoke with its founders, Mark Egerman, ex-attorney and former mobile payments lead at the Consumer Financial Protection Bureau, and Andrew Cove, former AngelList venture hacker, to learn more about how the app works and how the company raised $1.5 million. Cover keeps your credit card information and tip preference on file and automatically charges you when you’re done with your meal. Using GPS technology, the app finds your restaurant location and then lists the Cover tables already open and prompts you to create your own (see image above). The app only processes the payments of Cover users–other members of the party can pay via cash or credit card. 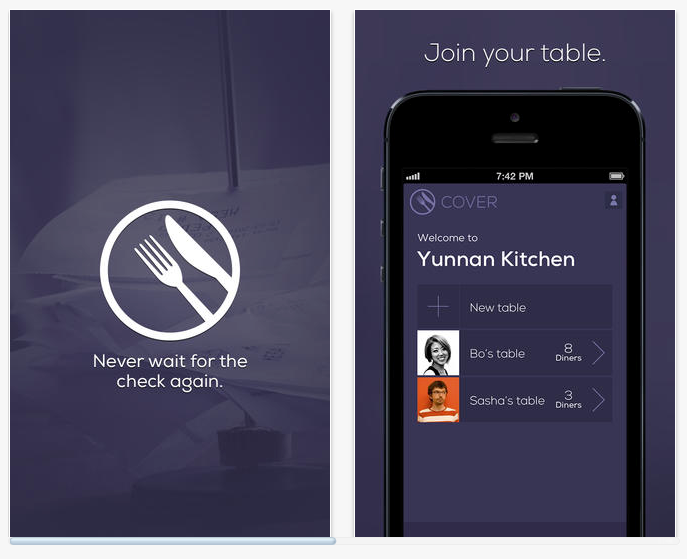 On the back end, Cover integrates in the restaurant’s POS system, and when a tab is ready to be closed, the restaurant submits the charge to Cover through the app. The service is free to use for both customers and merchants, making a profit by processing restaurant payments for less than credit card companies charge. According to Cove, on average, restaurants pay between 3.5 and 7 percent in credit card fees, which can equal a whopping 4 percent of overall revenue. And though Egerman and Cove would not reveal the percentage difference between those companies and Cover, they did disclose that Cover makes its revenue off that difference. The app aims to integrate seamlessly into customer and server dining routines, differentiating it from Tabbed Out, which offers a more detailed payment process, and Square, which requires restaurants to use its POS system. “Other products in the space cause you to do things that feel unnatural,”Egerman and Cove tell me. 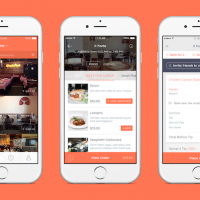 “We’ve worked hard with customers and servers to not change what they do naturally in restaurants.” Additionally, the app automatically splits bills evenly between diners. “We tried a bunch of different things and were live testing for 12 months–[we broke bills down] by percentage, dish and dollar amount–but [in all of those cases] you had to bring your phone out and assign dishes and percentages, meaning you weren’t better than the status quo,” says Egerman. It took the company 4 months to raise $1.5 million in seed funding from OATV, Lerer Ventures and a large group of angels. Cove says his first-hand experience in venture capital helped them understand what investors look for and what a company must prove, which is that its product works in the real world. Investors are inherently weary of the restaurant space, because it’s difficult for startups to acquire restaurants partners, he says. 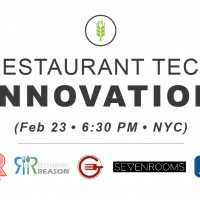 For that reason, the team had specific investors in mind and their strategy was to prove that Cover had value for restaurants and customers alike. Cover has partnered with some of NYC’s buzziest restaurants, including Northern Spy Co., Parm, Empellon Cocina and Carbone. For now it manually partners with restaurants, but the team hopes to eventually move to a self-service model for merchants. The company plans to focus on NYC first, which is how they will learn to grow Cover on a larger scale. “Rather than spreading too thin-we’re focused on scaling the customer and restaurant sides efficiently. [We have an] awesome product and awesome restaurants and are acquiring new customers. Media stuff and partnerships are also the way,” says Cove.